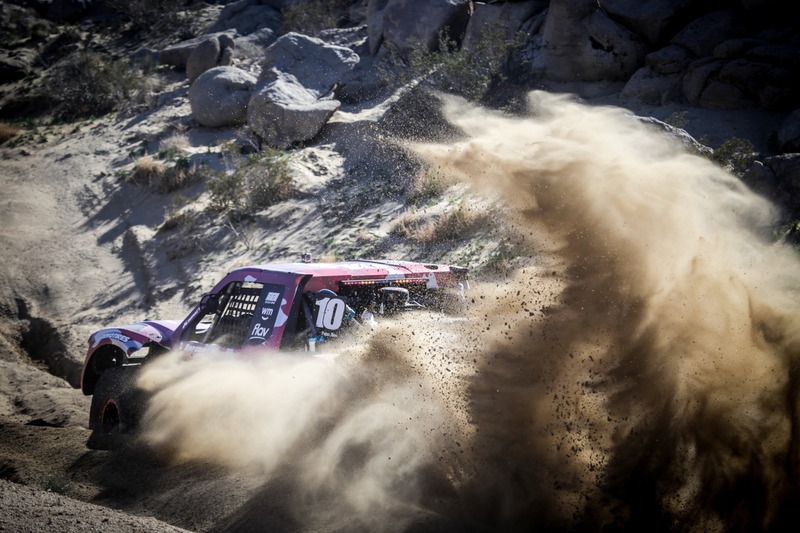 King of the Hammers has always been about growth, innovation, racing and family. This year, the family got a little bigger. 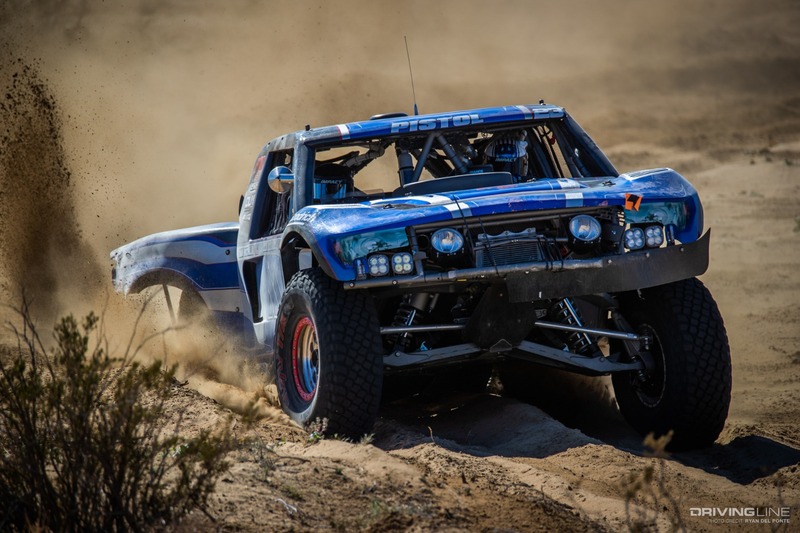 Dave Cole brought high horsepower desert racing trucks back to the California desert for the first time in over a decade as Luke McMillin took the win in this first annual race. 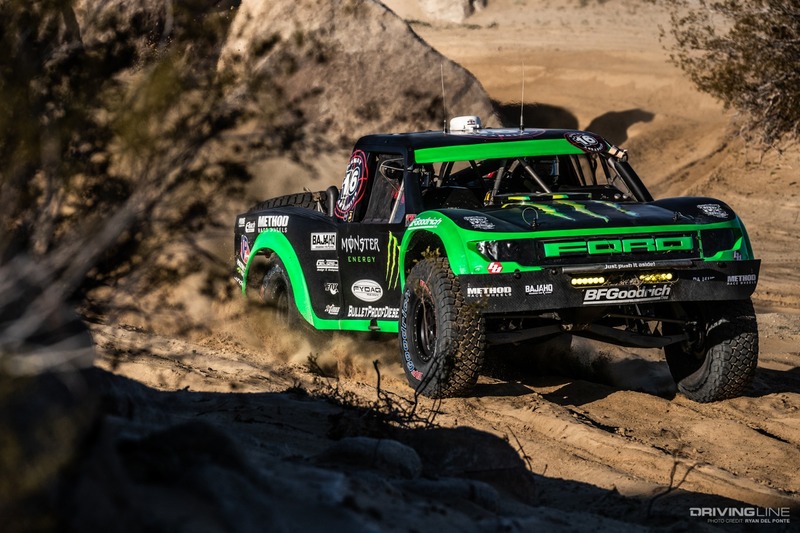 The Toyo Tire Desert Invitational presented by Monster Energy was a select group of invitation-only drivers who were invited based upon their rankings over the last 3 years. 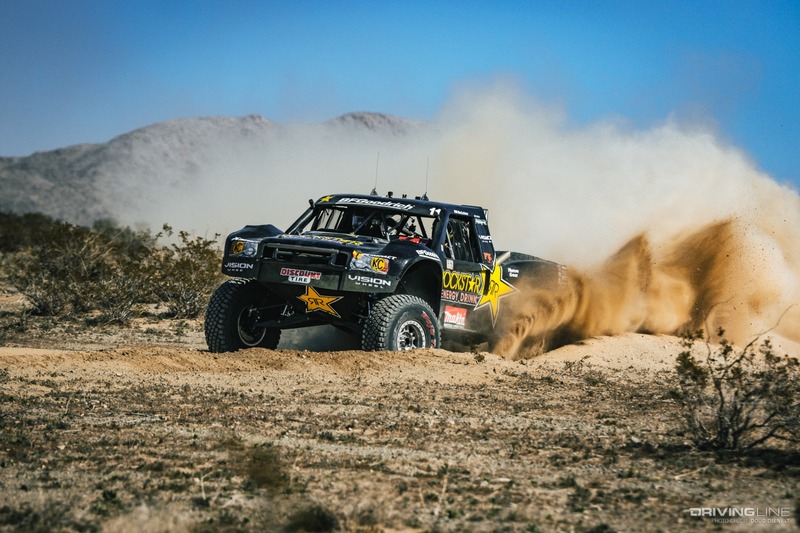 While rock crawling and desert racing are cousins, the Ultra4 style of racing has brought the two worlds together in a unique manner, and the $125,000 payout made it one of the richest off-road races in the world. 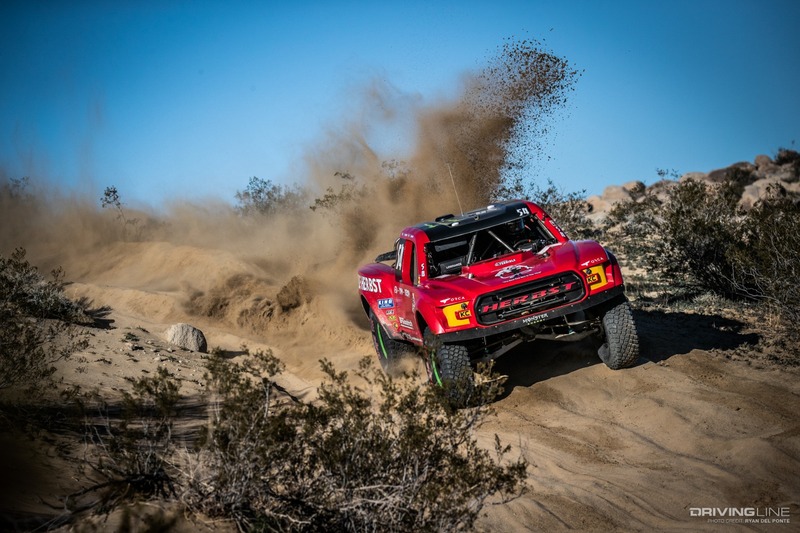 It doesn’t hurt that it fell within the Nitto King of the Hammers week, known as the toughest off-road race. 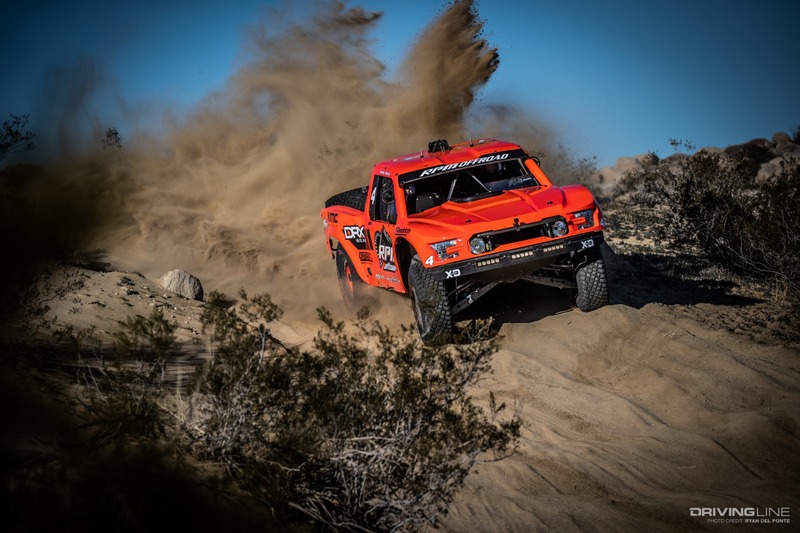 On race day, the teams did not do a traditional short course qualifying lap like the 4WP Everyman Challenge or the Nitto King of the Hammers teams. For this race, Dave Cole and race director JT Taylor really wanted to challenge the team. 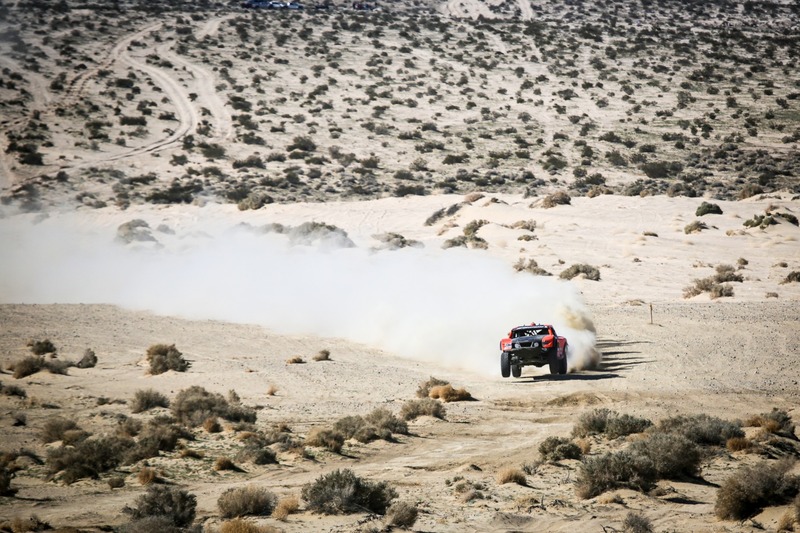 Qualifying was the first 20 miles of the desert loop. Teams would leave at 8 AM then have their clocks cleared and would be reseated based upon qualifying time. The twist was that the race start would happen 15 minutes after the last truck qualified. Not enough time for a shock change, no time to make repairs, no time to gain an advantage. No helicopters, no custom tuning and no special strategy. Teams were going to race like they did in the old days. 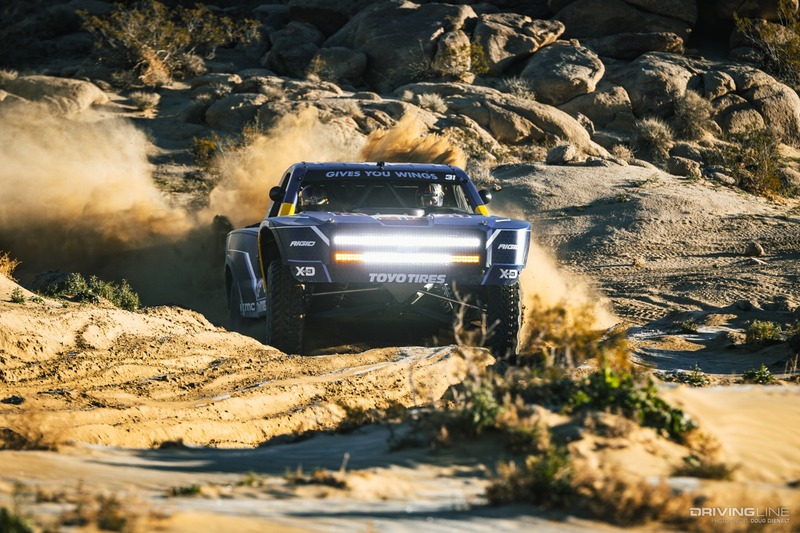 Teams like BJ Baldwin, Robbie Gordon and Bryce Menzies were lined-up and ready to blast through the desert in what promised to be a thrilling day of racing. Pistol Pete Sorensen is an iconic off-road racer that we lost just a few short weeks ago in a heart-breaking accident. As a tribute to Pete, he was awarded the pole for the event. When the race was officially started, the green flag dropped, and Pete was the first to leave the line in spirit and in memorial. One minute later, Bryce Menzies left in 2nd place to get the rest of the drivers going. 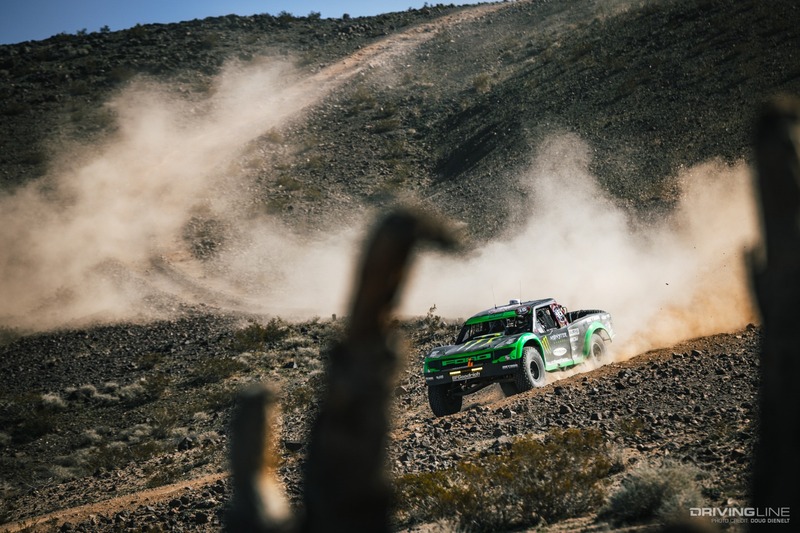 Trucks would leave the line every minute until the desert was filled with the sounds of horsepower and the sights of massive machines flying through the air. Everyone was now taking the race very seriously. 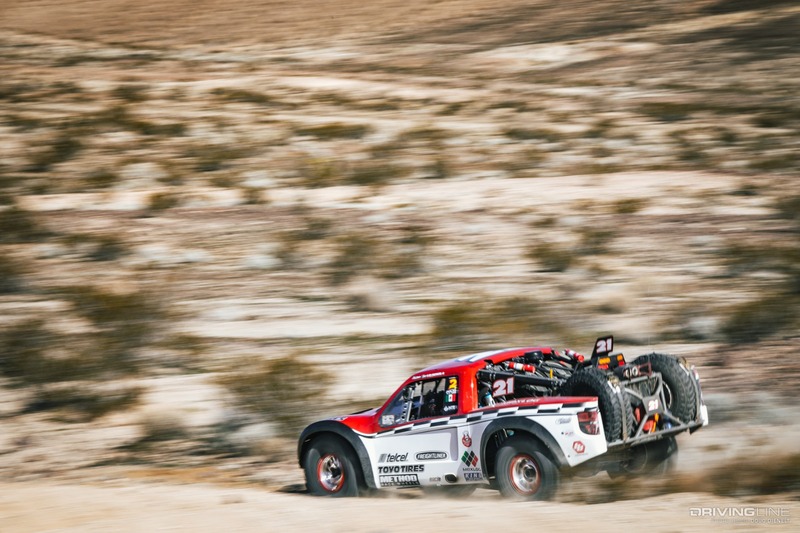 After Andy McMillin and Bryce Menzies both succumbed to mechanical issues, Luke McMillin took the physical lead ahead of Justin Lofton. Luke is a third-generation racer from Southern California—younger than his brother Dan and cousin Andy, he has shown potential in the past but never won a major race—until now that is. 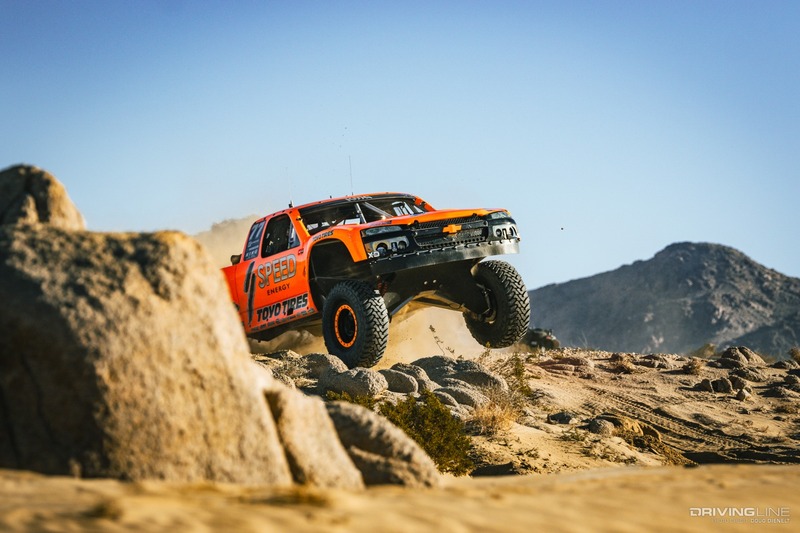 Luke’s style can best be described as smooth but somewhat reserved when compared to the all-out aggressive driving that racers like Robby Gordon and Tavo Vidosola are infamous for. You never know what’s going to happen, but at the end of the day, only 8 of the 25 talents were able to finish the race in time. The Hammers had claimed more victims as some of the best drivers in the world got back to their roots. 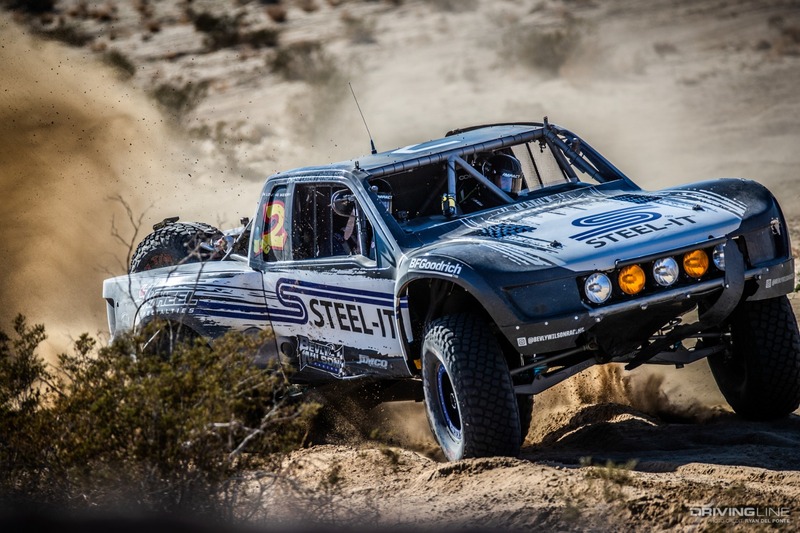 The first of many future events such as this, the T1 Desert race was a big success with drivers and fans alike. As the sun sets and teams recover their vehicles, Ultra4 Racing 4400 class team beginning to prepare in earnest for the big event: The Nitto King of the Hammers. While this event WAS the largest payout at $125K, Dave Cole pulled a surprise move and upped the KOH purse to $125,001 with the last driver finishing receiving the dollar bill signed by the winner. King of the Hammers always has been and always will be about the Ultra4 cars, but it was really great to spend the weekend with our racing cousins. 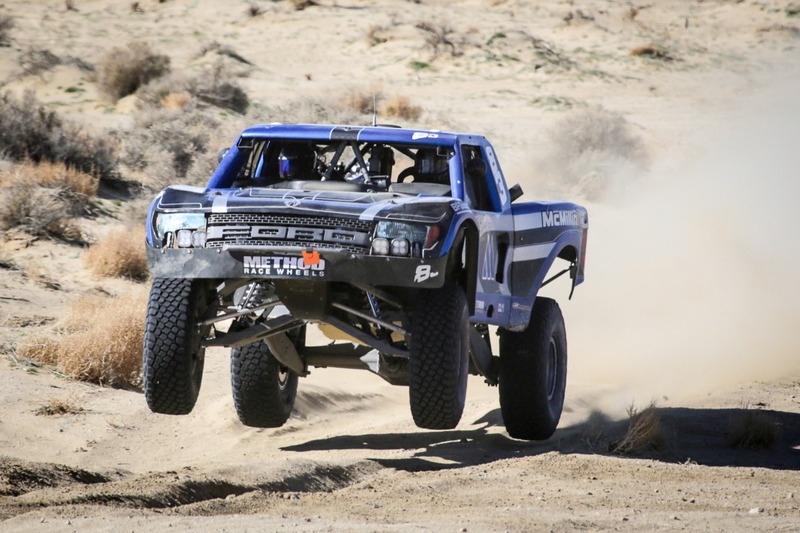 See all the action from this year's Nitto King of the Hammers, here!